The #GreatReturnMarch entered its third week in the Gaza Strip on Friday, 13 April with ongoing protests demanding Palestinian refugees’ right to return and an end to the siege on Gaza. As Palestinians continued to march to the colonially imposed “border,” where once again, they faced lethal Israeli live fire turned on a mass, popular protest. Palestinians in Gaza are over 70 percent refugees who have been denied their right to return home for 70 years after being driven from their land in 1948 by Zionist forces. Today, over 2 million Palestinians live in the Gaza Strip, where they continue to resist and struggle despite facing constant Israeli occupation attacks by air, sea and land. The Israeli occupation, with the cooperation of Egypt and international powers, has imposed a deadly siege on Gaza that has deprived Palestinians of power, electricity, clean water, utilities and key goods and other basic needs. So far, one Palestinian, 28-year-old Islam Herzallah, was killed by Israeli occupation forces, in addition to the 32 lives taken in the past two weeks of protests. Hundreds more were injured, many by live fire in addition to tear gas, shrapnel and rubber-coated metal bullets. 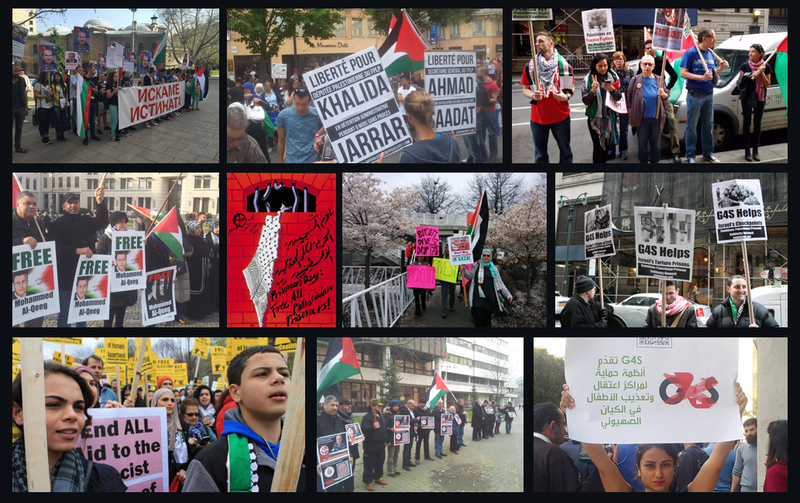 Around the world, people have responded to this popular upsurge of Palestinians in Gaza with outrage at the Israeli crimes and solidarity with Palestinians continuing to march for return and liberation. These actions are continuing in the coming days, marking Palestinian Prisoners’ Day and joining in the #GreatReturnMarch for the liberation of Palestine. Our events calendar is constantly updated!